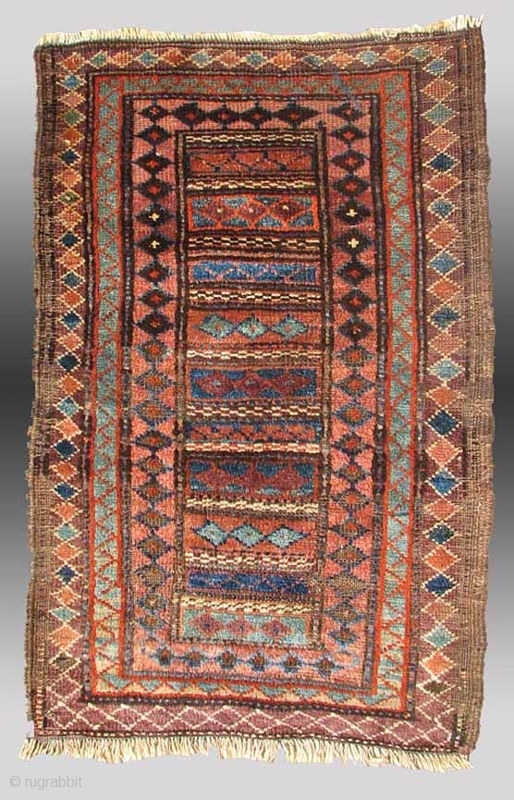 Baluch "Pushti" (Bag Face), w. Afghanistan, 19th Century, approx 1'7" x 2'10"
An extremely unusual example of a functional type of weaving, a type that is only found in Afghanistan among the so-called Baluch tribal weavers of that country. 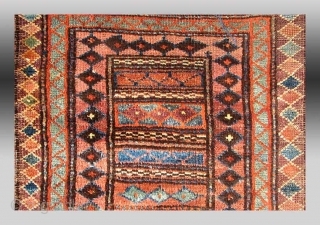 "Pushti" refers to a storage bag, as opposed to a balisht which is specifically made as a pillow for the head, and made in pairs (having to do with the wedding ceremony and dowry). 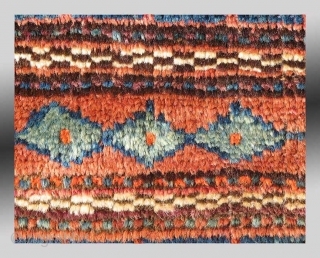 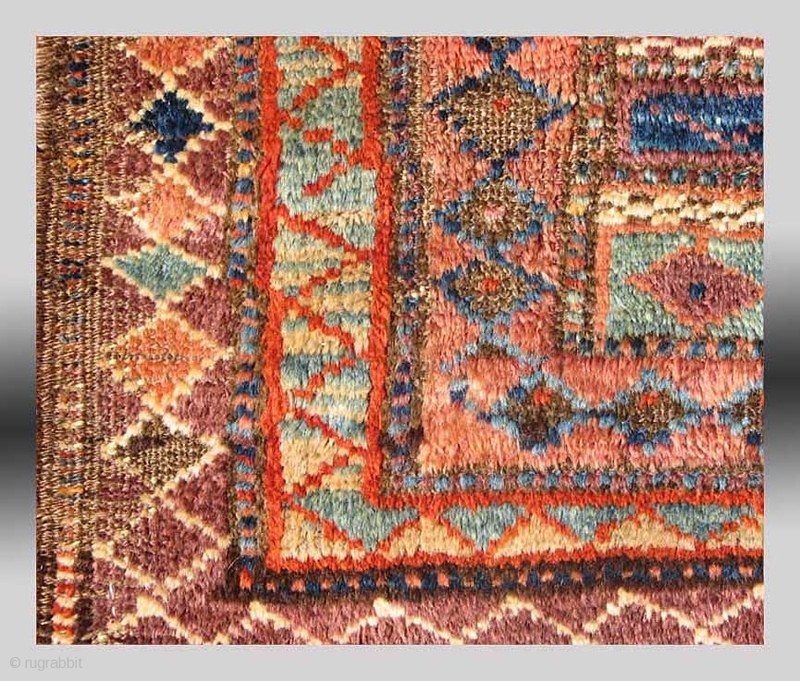 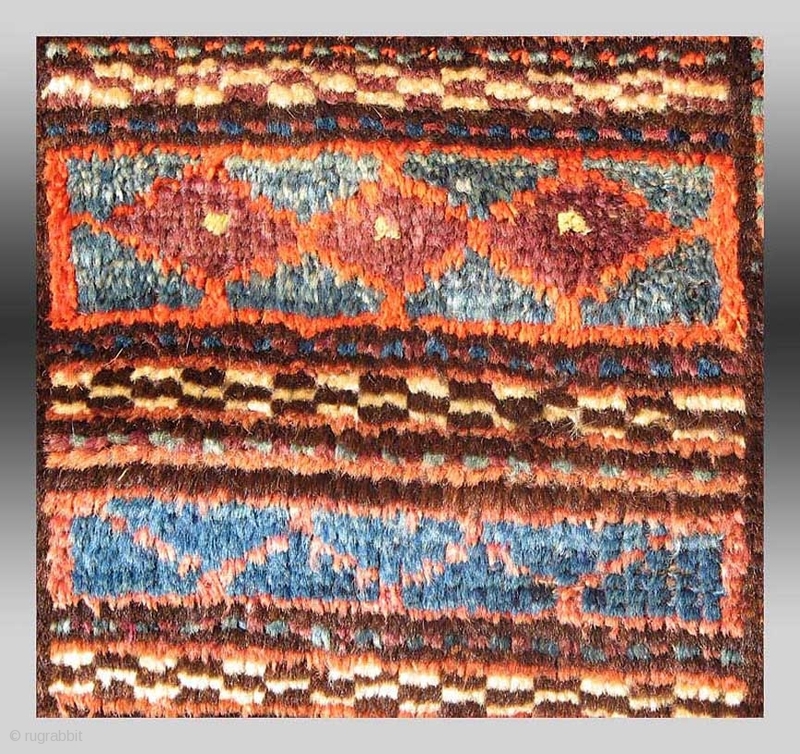 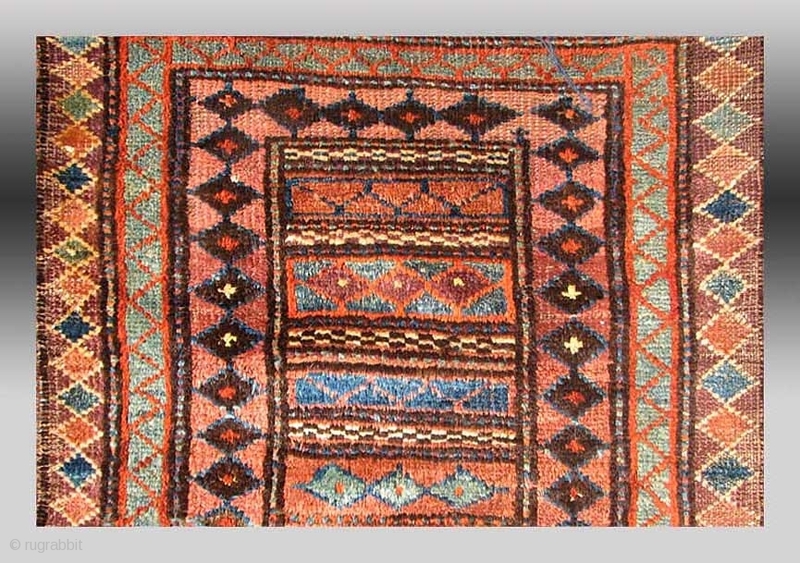 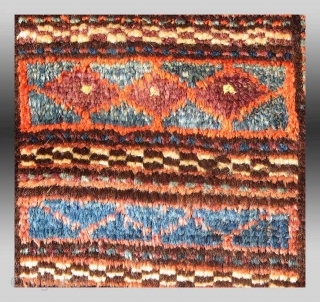 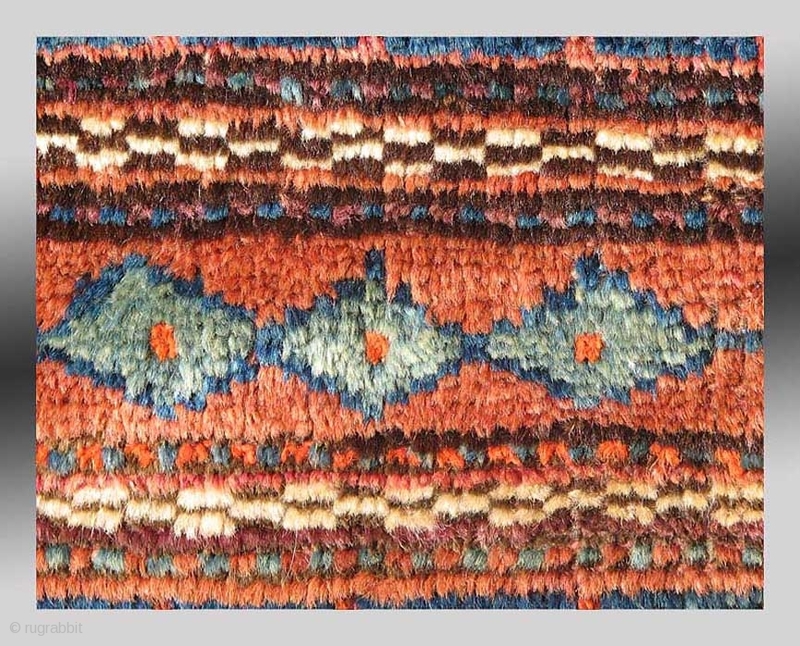 The patterning appears to mimic a flat weave design or kilim rather than those designs seen in pile weavings from the region. 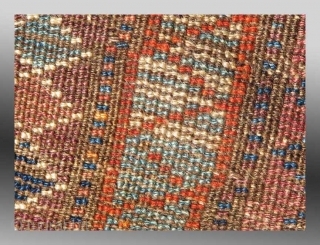 The colors are all derived from natural dyes. 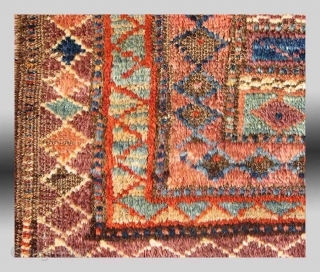 The condition is ok, there is some wear (see detail, ie. 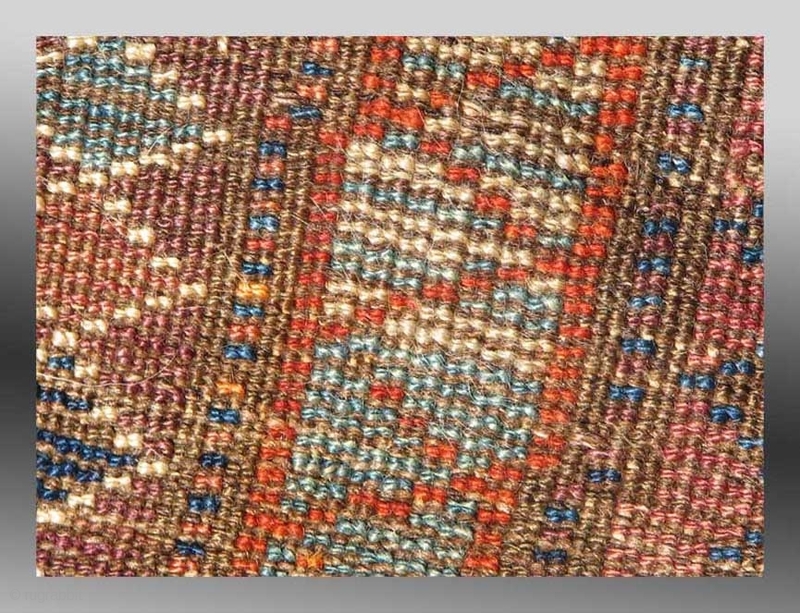 the corner of the weaving), but with no repair or re-weaves.